Everyone needs some guilty food pleasures in life and I’d have to say that fried chicken is one for me! There’s nothing like biting into a crispy, crunchy piece of freshly fried chicken that gets me drooling. It’s one of those classic, treats that you know you should stay away from. But fried chicken is sort of like pizza to me: even when it’s bad, it’s still pretty damn good. 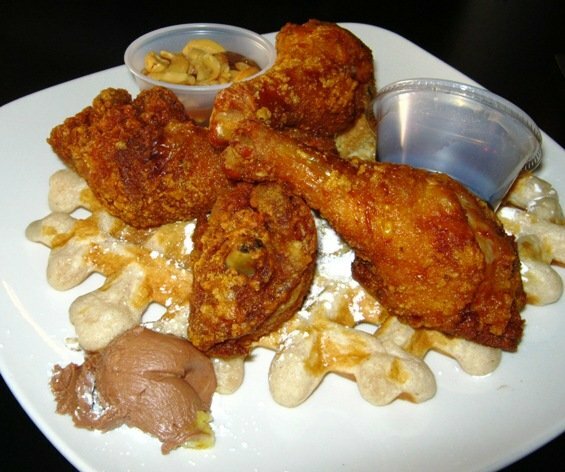 And while any good Southern restaurant will have its own special recipe, even fast-food fried chicken will hit the spot! 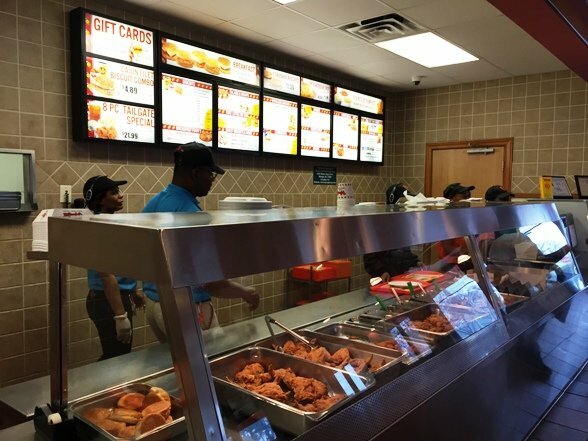 Fans of Bojangles will clash with Popeye’s lovers over which one is better. 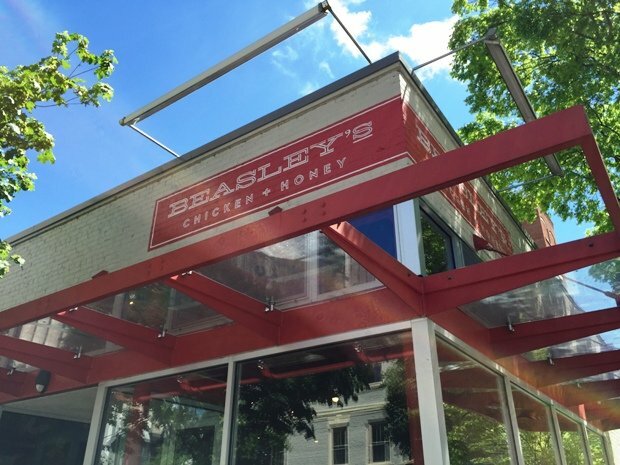 The newly opened Beasley’s Chicken & Honey has been getting rave reviews. 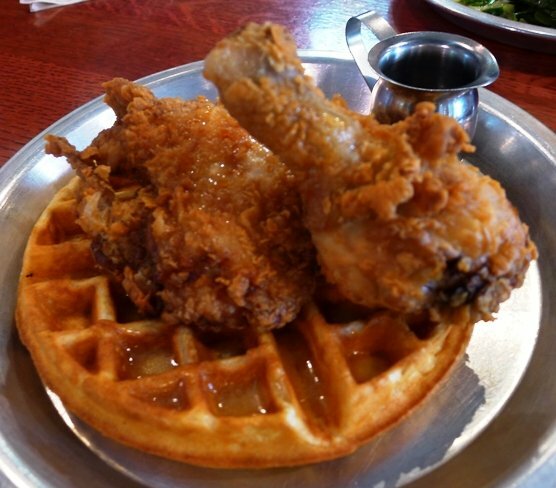 And what about the classic chicken and waffle combo at Dames? So in the interest of culinary clashes, I present to you my Fried Chicken Deathcage Match! May the best bird come out on top. 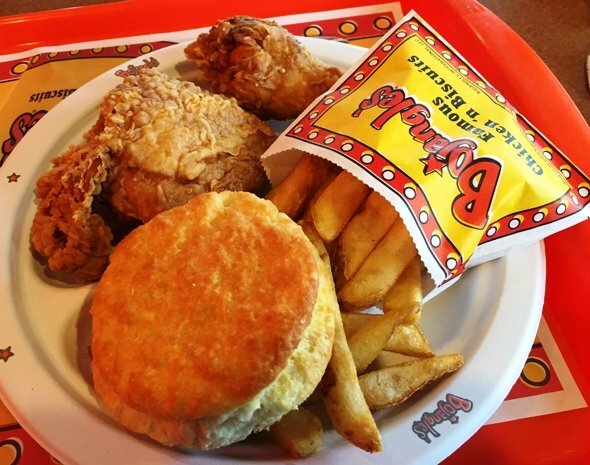 Let’s start with a Southern classic, Bojangles (or fondly known as BoJo’s) who dishes out great fried chicken but their biscuits and sweet tea are equally popular. My three-piece dark meat dinner, mashed potatoes and biscuit came out to ($6.80), super reasonable. Bojangle’s fried chicken is cajun-style and a bit heavier on the breading so there’s a lot of crunch and snap to the skin. Inside the chicken was really juicy and there was just a hint of heat at the end. Portion size, the chicken was about the same as Popeye’s but the biscuits at Bojangles are solid: large, fluffy and with a bit of salt. The mashies? Well, nothing to write home about but if you put sausage gravy on top, I’m eatin’ it! 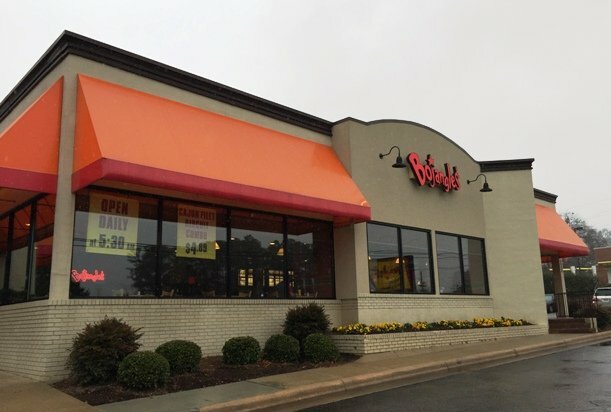 Bojangles makes some excellent fast-food fried chicken, you really can’t go wrong here. Next up is a lovely little cafe and eatery in RTP, V’s Southern Kitchen! 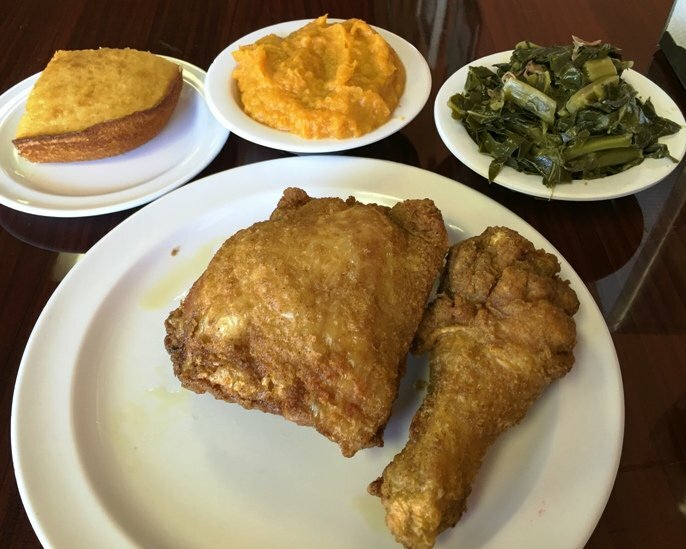 A casual Southern kitchen, V’s does a lot of soul food classics like ribs, fried pork chops and sweet potato fluff. Inside the cafe is super clean and bright, a very comfortable setting. Order at the counter and the food gets brought out to you. 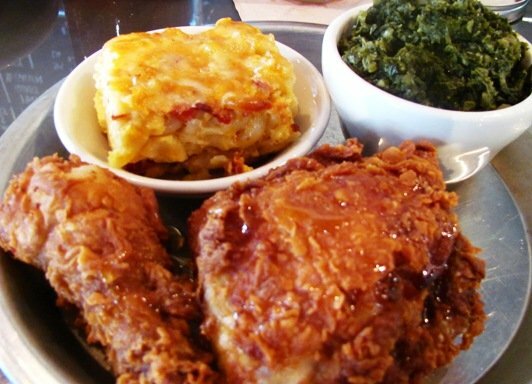 V’s Southern Kitchen does fried chicken that’s perfectly fried, plump and juicy. A light flour coating keeps the skin crisp and shows off just a hint of seasoning, great stuff! 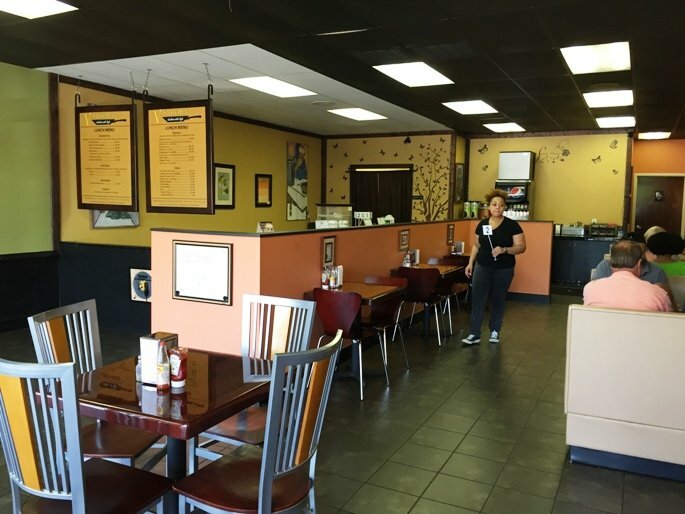 Going up the fried chicken food chain is the down-home, Dames Chicken and Waffles in Durham. (Note: There is a new Dames Chicken & Waffles in Cary now) I’m not sure who the brilliant person was that concocted this combination but they should be congratulated! 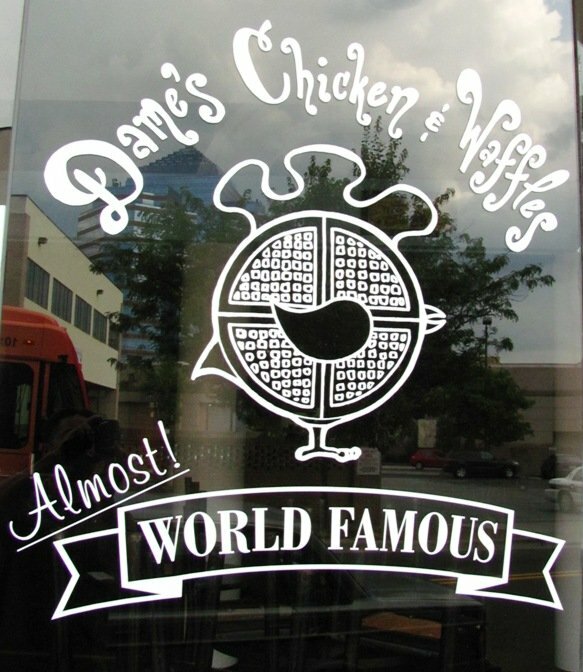 Dames is a small family-run joint that has only one thing on the menu: chicken and waffles. BUT you get to choose from a variety of plates for chicken drums, wings or filets. There are different types of waffles and different shmears (flavored butter) and syrups to go along with that delicious fried chicken. Home-made sides ranging from fruit to mac n cheese and sauteed squash, finish off the meal. Pretty much anything Chef Ashley Christensen touches turns to gold in Raleigh so when Beasley’s Chicken & Honey opened up, there was a tremendous amount of buzz. I waited a couple of weeks before visiting just to let the place settle in a bit. The space is open and well-lit with natural sunlight. One long communal table down the middle, some four-tops on the edges and stools at the bar make for plenty of seating in Beasley’s space. The menu is brilliantly simple, you can have chicken, chicken, or if you feel like it, chicken! Chalked up on the overhead (similar to Poole’s Diner) menu you’ve get three chicken options (1/4 chicken, chicken biscuit, chicken and waffles for brunch/late night) and maybe six or so sides. I went with the dark chicken and we went a bit crazy beyond that ordering biscuits, collards, beans and mac n cheese. Beasley’s chicken is beautiful on the plate: well-browned, plump and drizzled with a little bit of honey. Bite in and there’s a bit of salt (my guess is the meat may be brined) on the tongue, along with juicy chicken and some sweetness, delicious! Breading is minimal so it’s all about the meat at Beasley’s. And the sides are excellent, chopped collard greens, beans spiked with jalapenos and a square of baked mac n cheese. The biscuits are nearly scone-like, fluffy but a touch dry. However at Beasley’s prices, the meal HAS to be good. 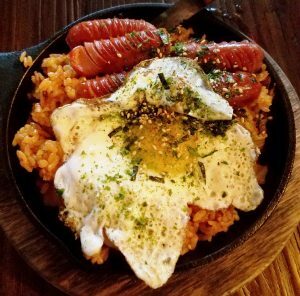 At $7.50 for just the chicken, $3.50 for a la carte sides, you’ll drop $13 at the minimum for a meal. >"You can have chicken, chicken, or if you feel like it, chicken!" – haha, I love it. Great Beasley's pics too. 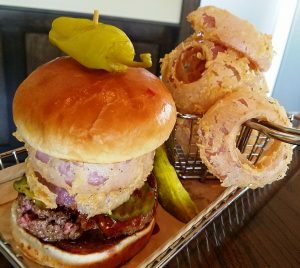 I know this article is a couple of years old now, but have you tried the fried chicken at Cooper’s in downtown Raleigh? In my opinion its the absolute best in the area. You should also try out Mr. Wonderful’s Chicken & Waffles in Raleigh in the shopping center on New Bern Ave right OUTSIDE the beltline. Their Sweet Jesus Sauce is amazing.